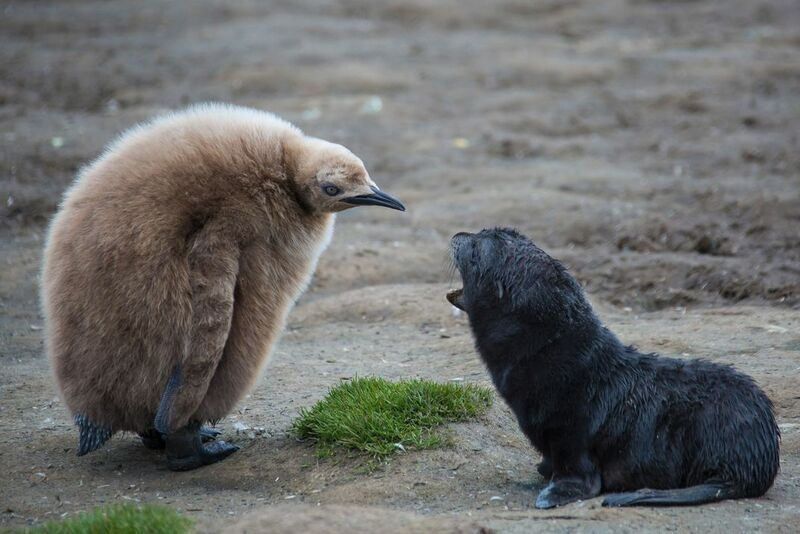 A King Penguin chick and an Antarctic Fur Seal pup have a momentary confrontation at the Salisbury Plain on South Georgia island - one of the largest King penguin colonies in the world. Also a large breeding area for seals, so there are many opportunities for altercations. Date Uploaded: Sept. 28, 2015, 11:26 p.m.